YouTube has created its own “sub-site” called YouTube Gaming. This site is similar to Twitch in that it caters directly to gamers and their fans, and allows gamers to record their gaming and broadcast it live to fans and other gamers. If you're a gamer or a gaming fan, you may find broadcasts that you wish to record and download to your computer to playback at a later time. The problem is that YouTube does not currently provide any method to download or record their livestreams. Luckily the professional developers of the 4K Video Downloader have stepped up and implemented this feature into the latest version of the 4K Video Downloader. Here are the simple steps for you to download live streaming video directly from YouTube Gaming. 1. The first step is to find a live stream on YouTube. You can do this by going to the YouTube Gaming site. 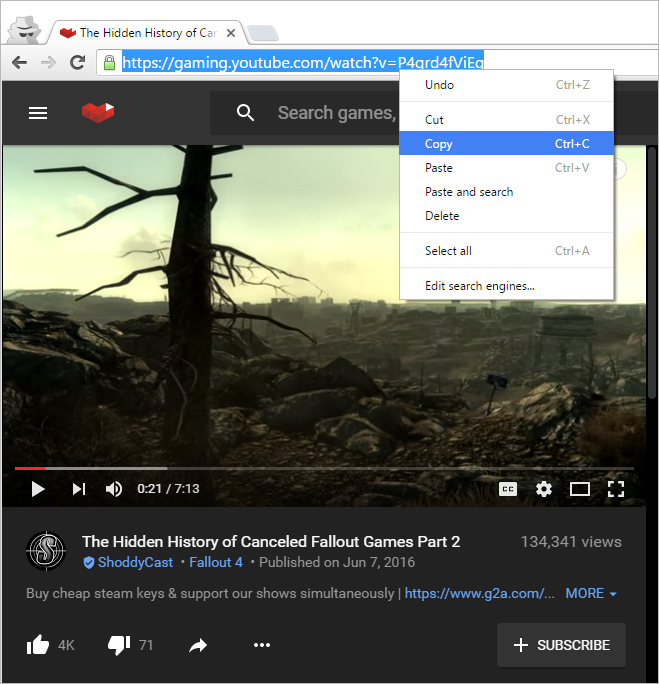 Here, you can search for specific games being livestreamed by using the search feature, or you can go to gaming.youtube.com/live to browse all the current livestreams on the gaming site. 2. Once you have chosen a livestream, copy the URL in the navigational bar at the top of the page. 3. Open the 4K Video Downloader. 4. At the top of the window, click on the "Paste Link" option. The program will automatically begin parsing the link for download. 5. Once the parsing has completed, you will see a window with several options. You can choose the type of video you wish to download, the quality of the video you wish to download, and the download location. Once you have set your options, click the "Download" button. Your livestream will start downloading to your specified folder. 6. When you wish to end the recording, press the "Stop" button. That's all there is to it! Now you can view the video whenever you wish. So what are you waiting for? Get started now!